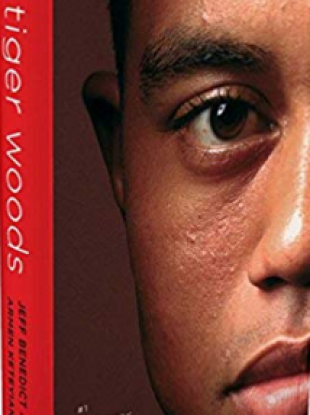 THE FOLLOWING PASSAGE is an extract from ‘Tiger Woods’ by Jeff Benedict and Armen Keteyian that focuses on the golf star’s early days as a sporting prodigy. Since 1966, the Navy Golf Course (Seal Beach) has been serving military families by directing 100% of its profits to support morale, welfare, and recreation programs for active-duty sailors and their families. “Cruiser” course that featured four par 4s and five par 3s. The course was less than two miles away—a five-minute drive—from the Woodses’ home. As retired military, Earl had playing privileges there and was a constant presence on the course. Over time, he became one of the very best players at the club. Kultida never went there until Tiger was able to come along. When he was eighteen months old, she started bringing him to the driving range to hit balls. Afterward, she would put him back in his stroller, and he’d doze off. Some days, Kultida would telephone Earl at work and hand the phone to Tiger. “Daddy, can I play golf with you today?” he would ask. Earl loved it, and he never told his son no. It was Kultida’s job to get Tiger to the course. Beginning when Tiger was two years old, Earl made sure he spent two hours per day hitting golf balls. At an age when most toddlers were developing motor skills and feeling different textures by doing things like playing in sandboxes, Tiger was on a golf course with his father, developing the habit of practice, practice, practice. Then one evening in 1978, Earl Woods made a decision that would alter the course of his young son’s life. He placed a call to television station KNXT, then the CBS affiliate in Los Angeles, and asked for Jim Hill, the 32-year-old sports anchor. It was a blunt way to open a call with a complete stranger. Deeply skeptical, Hill wasn’t sure how to respond. “What makes you say that?” he replied. To Earl’s credit, he knew how to pitch his son to the media. And he always did his homework. Hill had spent seven years as a defensive back in the NFL and loved to play golf. More important, he was an African American who cared deeply about minority youth and had been very involved in local outreach through the Los Angeles Urban League and the Los Angeles Department of Parks and Recreation. He was well aware that golf courses throughout the country had traditionally shut blacks out. Earl insisted that his son would one day open the game up to kids of color around the nation. The next morning Hill and a camera crew pulled into the parking lot at the navy course. Earl, in a golf shirt and cap, smiled warmly and extended his hand. “Come on,” Earl said, leading him to the driving range. As they approached, Hill recognised one of the sweetest sounds in sports—a golf club making square contact with a golf ball. He was shocked when he saw who was responsible for that sound. Hill was no longer skeptical. Silent, Tiger stared up at him. “Can I play golf with you?” Hill asked. Hill sliced his first drive. He hooked his second one. “I’m not that good, am I?” he said, smiling. Hill was smitten. This two-year-old possessed a swing that looked destined for the PGA Tour, yet the boy had an innocence that matched his size. The trip to Long Beach had definitely been worth it. After the camera crew got footage of Tiger driving and putting, Earl took them to the clubhouse. Earl put his son on his lap and had him face Hill and the camera. Hill’s segment on Tiger aired in Los Angeles and became one of the most memorable pieces of television news in his 40-plus years of broadcast journalism. The footage of a two-year-old swinging a golf club with such natural form and power was captivating. His miniature size juxtaposed with his perfect mechanics—turning his shoulders as he started his backswing, all the while not allowing his hips or body to slide to the right—looked like a fiction straight out of Hollywood. It’s unclear what motivated Earl Woods to cold-call Jim Hill. Was it an irrepressible urge to show off his talented child, an innocent impulse inspired by understandable parental pride? Or was Earl more calculating than that? In his 1998 memoir, Earl wrote that he hoped his son’s fame would reach across the globe and lead him back to the war comrade who was responsible for Tiger’s nickname. “This was my fantasy: that this kid named after Tiger Phong would become famous one day,” Earl wrote. That statement was written just after Tiger had turned pro in 1996. Undoubtedly there were other factors motivating Earl in 1978, but this much is clear: by age two and a half, Tiger Woods showed unmistakable signs of being a bona fide gifted child, and his father had set in motion a series of events that were more improbable—and ultimately more burdensome— than anything Charles Dickens dreamed up for his fictional child protagonist Pip in Great Expectations. Soon after Hill’s profile on Tiger aired on KNXT, ABC daytime television talk-show host Mike Douglas instructed his staff to book Tiger on his show. At the time, The Mike Douglas Show was one of the most-watched daytime programs in America. It was filmed in Philadelphia, and on October 6, 1978, with a live studio audience cheering him on, Tiger Woods scampered onto the stage wearing khaki shorts, white socks, a short-sleeved shirt with a red collar, and a red cap. His shoulders slumped forward under the weight of the miniature golf bag slung across his back. Flanked by Douglas, comedian Bob Hope, and actor Jimmy Stewart, Tiger put a ball on a tee, positioned himself, and hammered the ball into a net. “Perfect!” Douglas said as the audience cheered and Hope and Stewart clapped. But it was immediately clear that Tiger was uncomfortable. He tugged nervously at his left ear. “How old are you, Tiger?” Douglas asked. Tiger kept tugging at his ear while Earl answered for him. Tiger said nothing and continued tugging at his ear. “What’s the man’s name?” Earl said. It was getting awkward. Hope bent over, hands on his knees, and smiled at Tiger. “What is his name?” Earl repeated. Tiger finally looked up at Hope, but still said nothing. Eventually, Earl lifted him up. Tiger placed his ball on the green about five feet from the cup, and proceeded to miss the putt. He made two more attempts, both failures. Earl placed a fourth ball at Tiger’s feet and took a step back. Tiger picked it up, moved it within a couple of inches of the cup, and tapped it in. The audience erupted. Hope slapped his knee and howled. Douglas laughed so hard he dropped an entire basket of golf balls. It’s easy to see this as a funny moment, but Tiger’s appearance on The Mike Douglas Show also revealed that he shared the textbook attributes of what child psychologists refer to as the gifted child: quiet, sensitive, isolated. There was the incessant, nervous pulling at his ear; his obvious desire to please his father; and his need to succeed, evidenced by his determination to ensure that he didn’t miss his final putt. In her landmark book The Drama of the Gifted Child, renowned childhood researcher and psychologist Alice Miller defined gifted child as one who is more intelligent, more sensitive, and more emotionally aware than other children. Through decades of research, Miller concluded that the gifted child can be more attuned to his parents’ expectations and will do whatever it takes to meet them, even if that means ignoring his own feelings and needs. Miller referred to a “glass cellar” as a place where a gifted child locks away his true self while trying to become his parents’ ideal child. Actor Jimmy Stewart was no child psychologist, but he had been around show business for almost sixty years and had seen his fair share of little children who had been put onto the big stage by parents who failed to recognise or appreciate the long-term consequences of early stardom. ‘Tiger Woods’ by Jeff Benedict and Armen Keteyian is published by Simon & Schuster. Email “The day child prodigy Tiger Woods appeared on national TV with legendary US actor Jimmy Stewart”. Feedback on “The day child prodigy Tiger Woods appeared on national TV with legendary US actor Jimmy Stewart”.